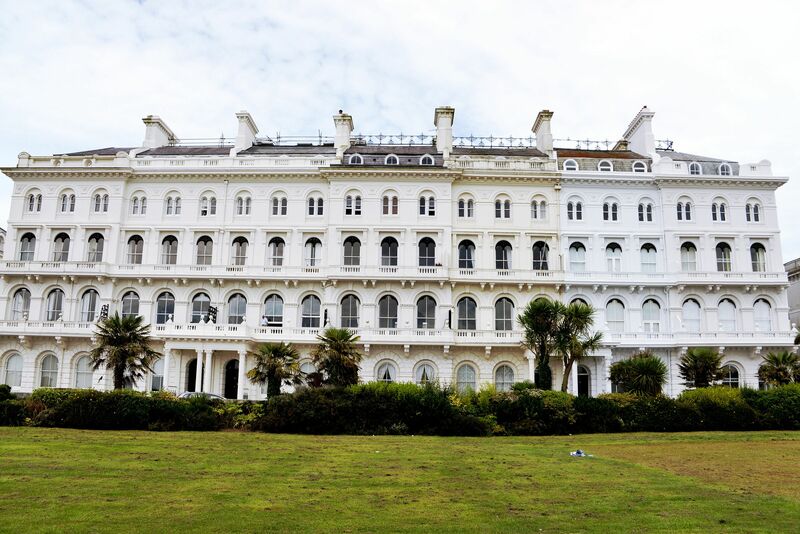 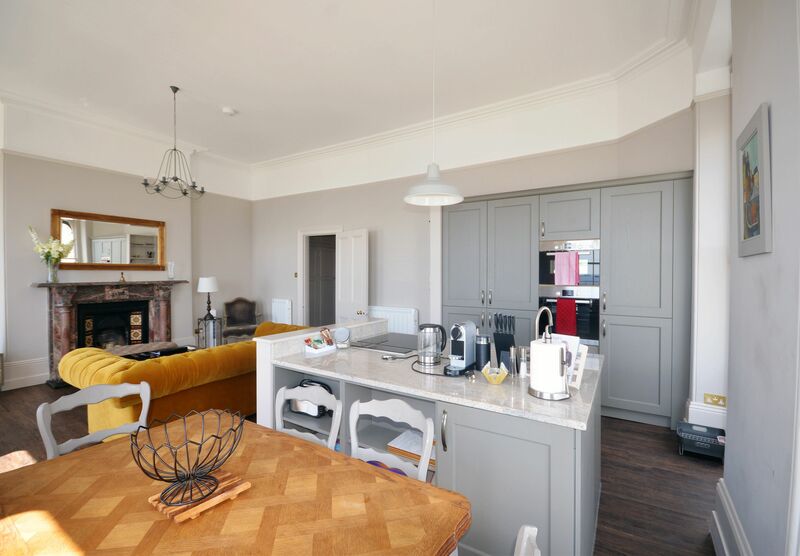 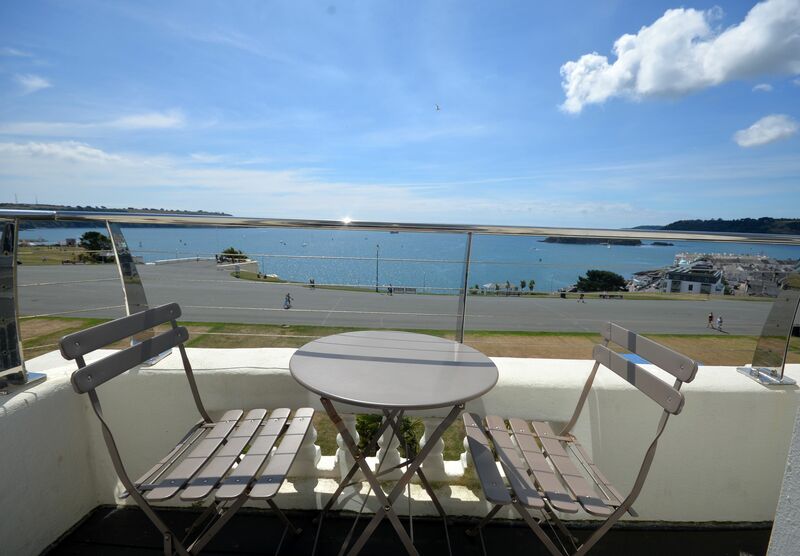 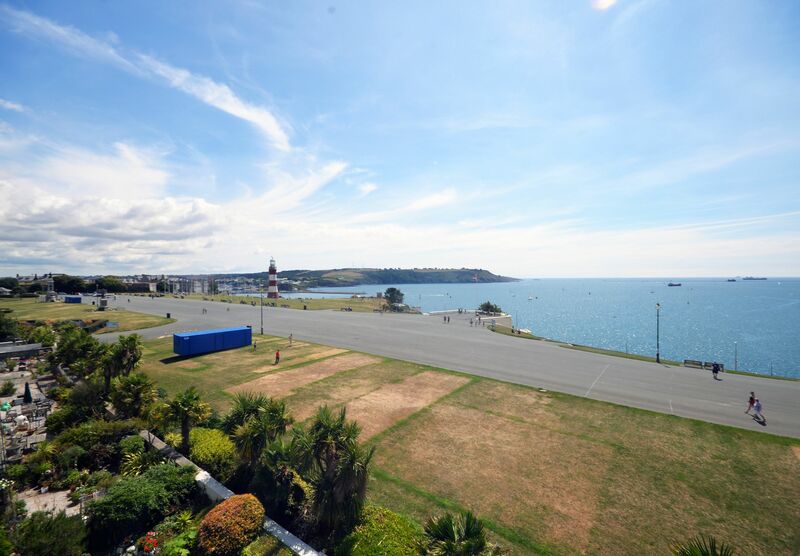 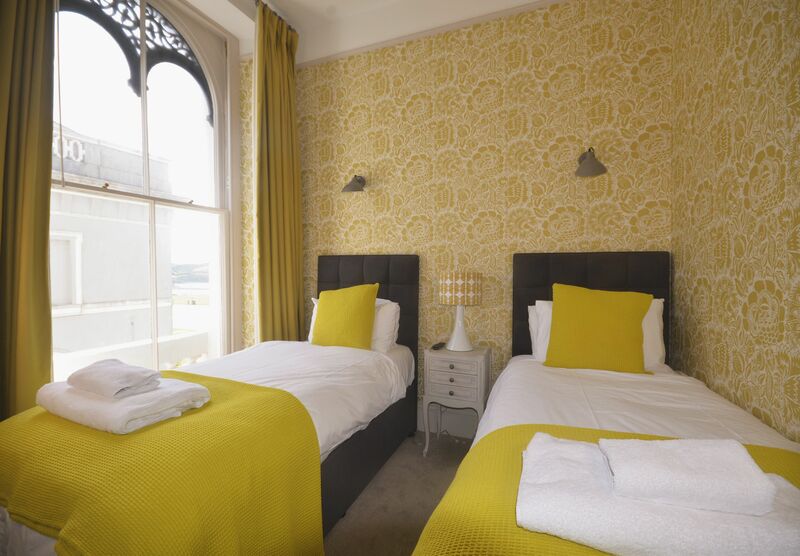 This second floor apartment has 5 grand dual aspect sash windows with balcony overlooking the Hoe and Plymouth Sound. 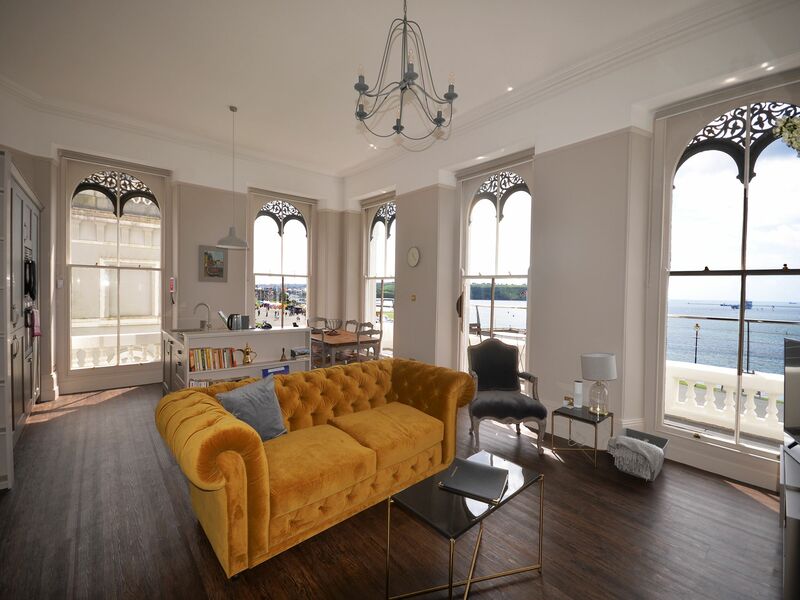 The very spacious lounge includes an open plan walk around well equipped kitchen and dining areas along with a velvet Chesterfield sofa which doubles as a luxurious sofa bed for two people. 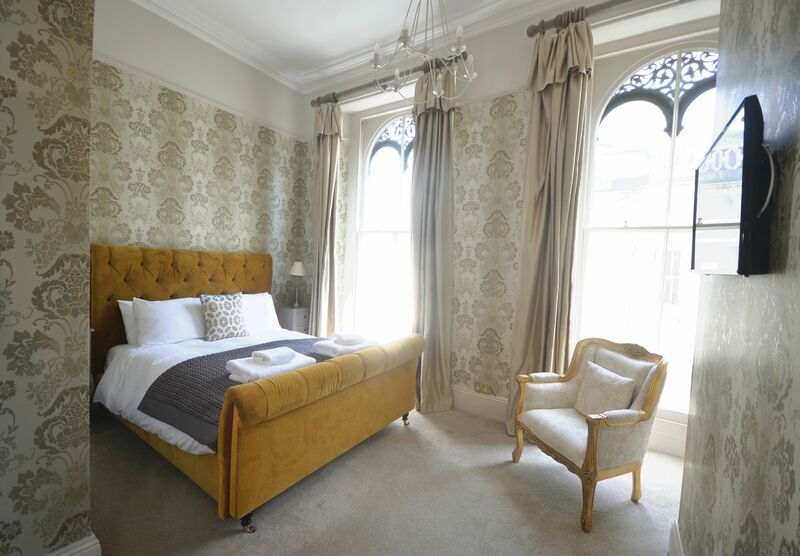 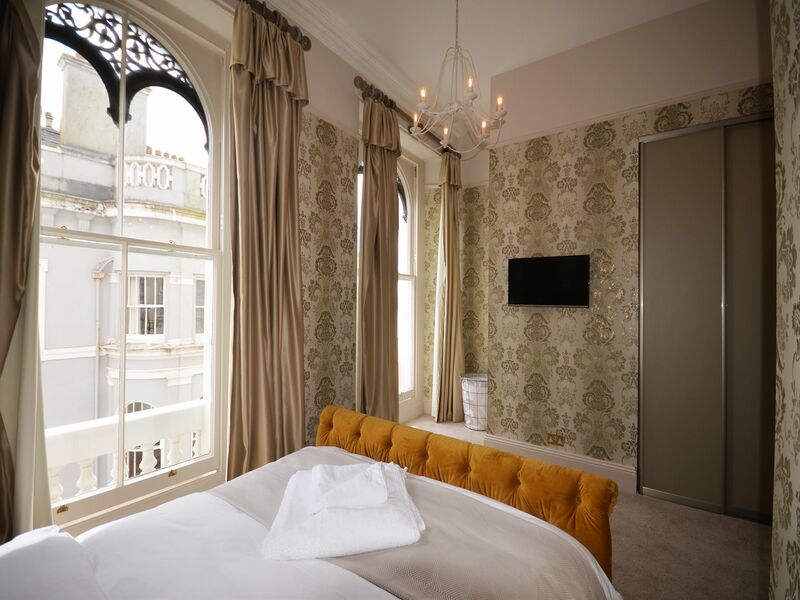 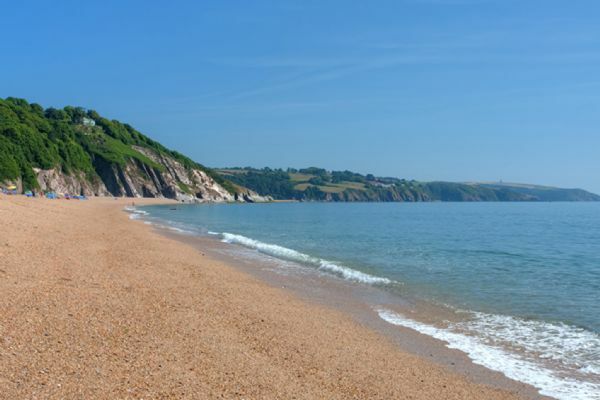 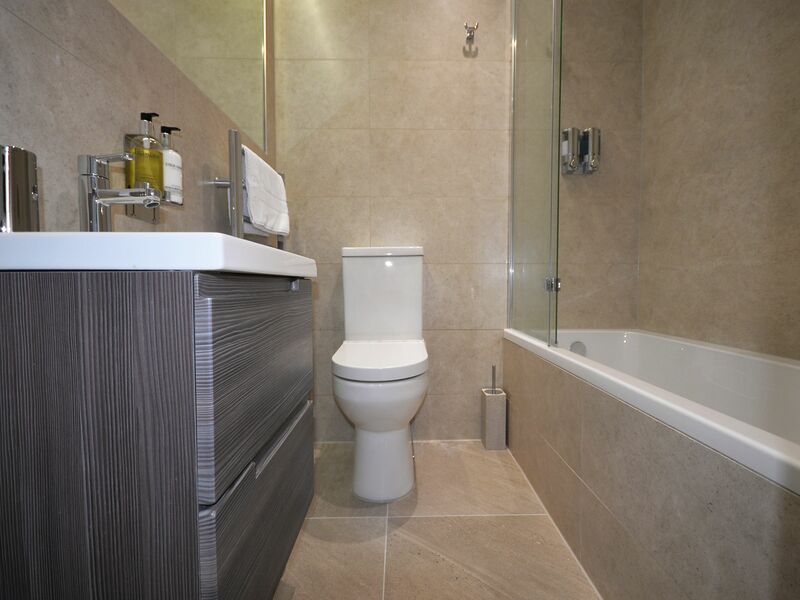 Luxuriously furnished, the main double bedroom includes an ensuite bathroom with shower over and the twin bedroom has a shower room. 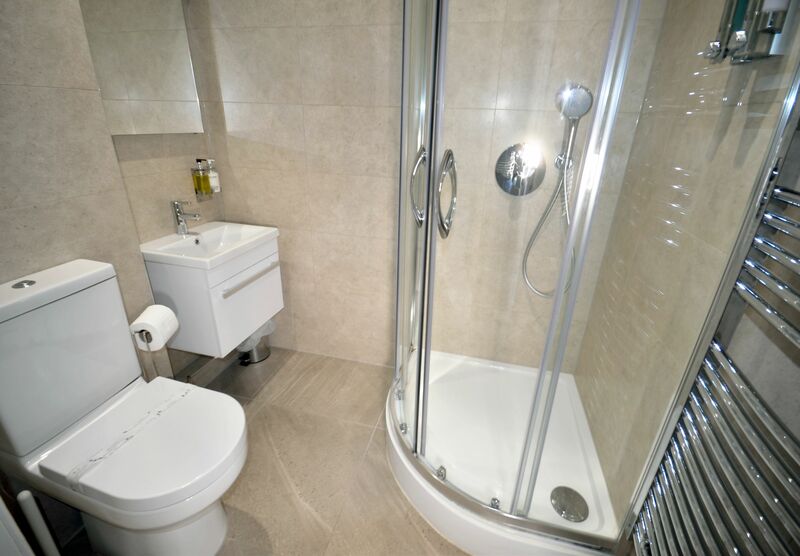 Well equipped with technology you can voice activate the lights and heating/hw, and use the services of Alexa including unlimited songs or enjoy watching tv in every room.